Can you believe this is Dubai? 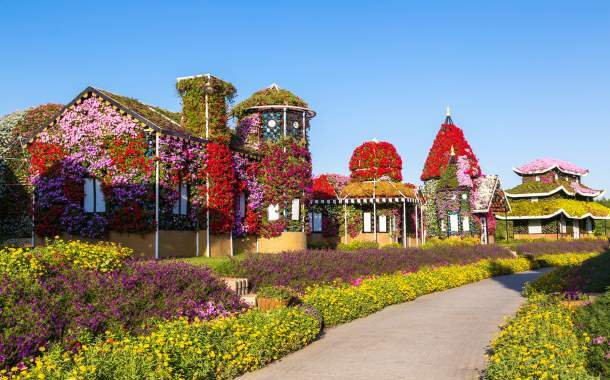 Did you know this Miracle Garden exists in Dubai? Bollywood movie 'Hamari Adhuri Kahani' starring Emraan Hashmi and Vidya Balan was filmed in this garden. Open to public in 2013 on Valentine's Day, this is also the largest natural flower garden in the world. You can visit this garden from October to April when the weather is pleasant and ideal for flower gazing. Butterfly Park, Floral clock and Aromatic Garden are the popular attractions here. On your Dubai holiday, you can explore the below places and create everlasting memories. Are you fascinated by marine life? 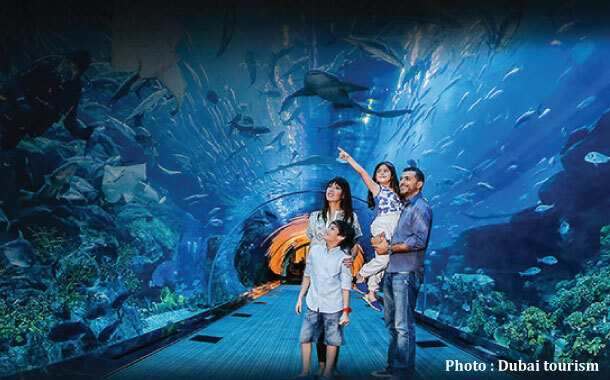 Then you must hit the Dubai Aquarium, nestled within the Dubai Mall, to observe them closely. Here you will see a gigantic suspended tank containing approximately 140 species of marine life. Unleash your adventure spirits and indulge in thrilling sports like cage snorkelling, scuba diving, glass-bottom boat ride etc. Doesn’t matter if you are in search of tranquility or adrenaline rush moments, both your quests will be satiated in the scintillating Jumeirah Beach. You can either bask in the sun or try out some watersports - the choice is yours, both are equally rewarding. This beach offers several amazing activities including parasailing, scuba diving, jet-skiing, kayaking, banana rides and snorkeling. Once you are done with your fun games, you can recharge your energy by chilling at the beach side cafes. Your Dubai experience is incomplete without a visit to the marvellous Burj Khalifa. Located in Downtown Dubai, it is the tallest building in the world standing at 829.8 metres. As you step into this architectural marvel, you will be amazed with the multi-media presentation of the glorious Dubai history. 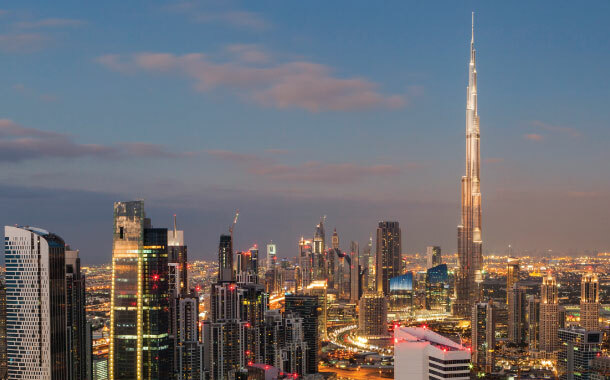 When you reach the 124th floor, you can capture the breathtaking panorama of the desert city, and the lush greenery of this beautiful haven from the observation deck. The fun does not end here, go ahead and enjoy the soothing blend of lights and music of the Dubai Fountain nestled on the Burj Khalifa Lake. If you are a nature lover, visit the Burj Khalifa Park and click pictures of the sublime flowering trees and palm lined walkways. Are you the type who sets the bar too high for all sorts of entertainment? Then you will not be disappointed at the fantabulous Dubai Dolphinarium. This place is popular for its live dolphin and seal shows. I bet you will be on cloud nine when these adorable creatures entertain you by dancing, jumping, juggling, painting and what not. 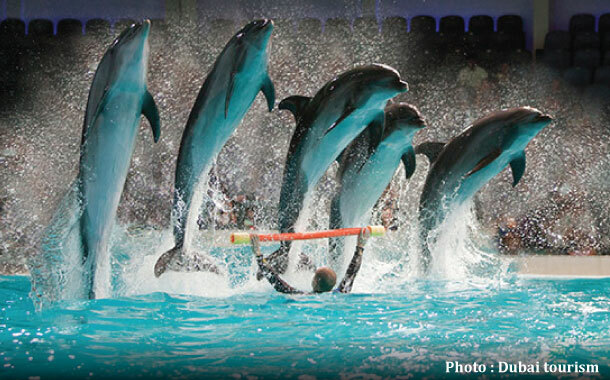 Visiting the Dubai Dolphinarium and not going for the 5D theatre experience is a crime. This wondrous theatre will pamper you with special effects like leg tickling, seat vibration, flashing of light and gusts of wind. Do remember to take pictures with these endearing beings to complete your joyful extravaganza. Dubai is a beautiful blend of modern and ancient marvels. If you are the kind who is interested in antiquities, then Dubai Museum is the place for you. 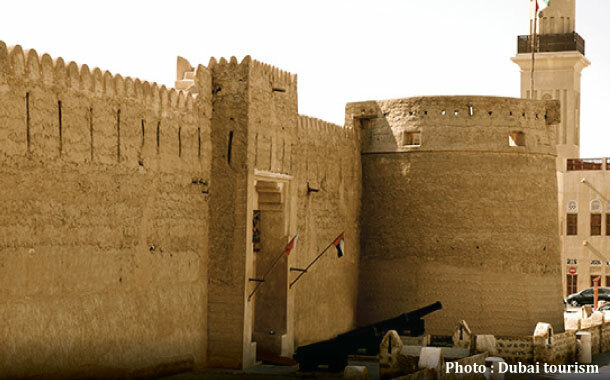 The eminent Al-Fahidi Fort, which was built in 1787, houses the Dubai museum. A visit to this museum will transport you to the bygone era of luxury and elegance. At the entrance, you will be greeted by the old maps of the Emirates and Dubai. The phenomenal collection of antiques and artefacts from the excavated graves will caste a magical spell on you. This museum houses traditional Arabian homes, mosques, musical instruments and weapons, giving you the glimpse of ancient desert life. Inspired? Get your Dubai visa and explore this grand city like never before.